Bohemian Rhapsody is one of the most notable Queen classics. 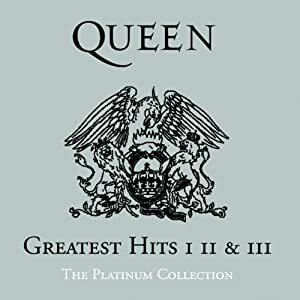 It may be the most famous one from their baroque, sophisticated phase before their 1977 turn to simpler, more anthemic compositions (exemplified by We Will Rock You). Known Relatives: Flint Stone (father), Wilma Stone (mother). Base Of Operations: San Francisco. Bohemian Rhapsody is quite hard to kill by common means, or even by magic. He seems to avoid death with regularity and heals in hours wounds than a normal man would take days. See in detail things far away. Look through people and some items. And even feel when mystic things on Earth are not quite right. The living computer M.A.M.A., of unknown origin, can fly and project thunderbolts and lightning from the sky. Furthermore, it can detect the exact location of Freddy or any other creature from miles away. Born to a couple of parents fans of the old Flintstone cartoons in L.A., Fred Stone grew in the wrong side of the tracks. He was a minor part of the local gang bands, overlooked by everybody. Yet his sudden rage fits made him feared by his few mates, and he started to get some attention by the bosses. Caught in a landslide on the mountain while fleeing the police after passion-murdering a gang boy, Freddie Stone was mystically abducted by the demon Bismullah to his underground lair. The reality shift awakened Freddy’s latent powers. That was precisely what Bismullah wanted to avert by summoning the hero. This made him virtually immune to the devil’s attacks. He had felt more fear than in his whole life, and the fear reserves in him seemed to be vanished. Stone returned to Earth with mutterings of “Mama! Mama!”. He opened his eyes, looked up to the sky… and saw. Something fantastic taking into account that he was under 10 feet of mud and stone: but nonetheless he saw the sky, and something more. He also saw the arrival of a flying robotic sphere (since discovered to answer to the name of M.A.M.A.). Thunderbolt and lightning emerged from the sphere powdering the rubble over him and saving the poor boy. The next few years had Fred trying to get a new life. He had been on the verge of death and ultimate destruction, but somehow he had emerged from it unscathed and, in fact, stronger than ever. He devoted to uncover the newfound magic world while trying to succeed on his most beloved dream: singing. Despite being ignored by almost everybody in the music business, that changed whenever he had a chance to show his great talents. Thus, he has become a legend in the club circuit. However, his unattractiveness and lack of social skills keeps him from succeeding the whole music business. A year ago, Freddy discovered a text dating from mid century that announced a series of people would look to embody some songs, while truth would be that the writers of the song had been granted partial awareness of things to come. His life seemed to pass in front of him and he couldn’t deny that his history looked too much like Queen’s Bohemian Rhapsody. Thus he took the name… and followed his musician/occult detective life alone until he received an offer from heroine Imagine to join the latest incarnation of the Melomen. Unknown to him in that moment, there were three prophecies, not one, regarding Freddy Stone: the other two came from the mix of Helloween’s “Keeper of the seven keys” and Queen’s “Seven seas of Rhye”. Yet to be discovered to its full extent, it looks like Freddie’s powers are the key to open (or close) something very powerful. Freddy Stone is a man on his late 20’s, quite common in appearance, although something in his eyes can make him special to some. His voice when singing changes somehow, becoming much more appealing than when he talks. He uses to wear rock groups t-shirts and jeans, and has no special “super suit” to wear, except for a gallery of Queen t-shirts he likes to sport when doing heroics. Freddy carried a blessed .44 called Galileo but was destroyed on his last battle againts Bismullah. Freddy has a terrible need to be liked, but he lacks de depth of personality to accomplish it. But what he can’t win through charisma, he manages by his behaviour: a good person who doesn’t want to be the center of attention, just one more of the pack, and who has an inner devil (his fits of rage when he fails) to fight that is his greatest vulnerability. He doesn’t want to be a hero, but the world needs some and he has the power and the knowledge to do it. If someday the powers go as easily as they came, he will be equally happy to leave the world of shadows, monsters and villains and return to the clubs. Invulnerability: Cannot bring BODY back to a score above 0. X-Ray Vision: can’t see through magical materials. Area Knowledge (San Francisco), Iron Nerves, Stabilization. Catastrophic Rage, Public Identity, Traumatic Flashbacks (Hunted by devils), Uncertainty, Unluck. M.a.m.a. [STR 02 BODY 09 INT 05 WIL 05 MIN 04, Flight: 06, Lightning: 11, Life Sense (specific life form): 12, Sonic Beam: 09, Hardened Defenses, R#3, HP Cost: 133]. RADIOCOM [BODY 02, Radio Communication (transmit only): 09, R#: 5, HP Cost: 20]. Source of Character: Inspired by Queen’s Bohemian Rhapsody.